Ugly console hole? Jam it! You are here: Home / Articles / Toolset / Ugly console hole? Jam it! To attain high-end outdoor audio, skiff owners don’t have to sacrifice precious console space, nor spend too much these days with the new Prospec Electronics’ Milennia PRV19. Ideal for both upgrade and OEM, Prospec Electronics’ Milennia PRV19 round receiver fits into a standard tachometer cutout. The Milennia PRV19’s goal is to provide the clear, quality sound of a premium automotive listening environment, without the exorbitant price tag. With 40W x 4 of power, the internal amplifier pumps out serious volume, yet provides the clarity and finesse that audiophiles enjoy. Owners and guests will appreciate the Milennia PRV19’s adaptability. 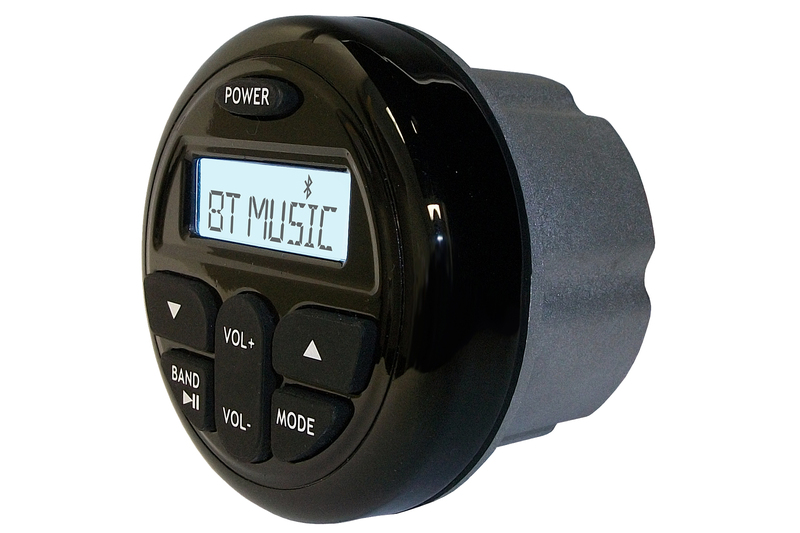 The AM/FM receiver will stream Bluetooth audio, has a USB input for MP3 and WMA playback only, and an auxiliary input. It will even charge most phones through the USB port. Built to conquer an unforgiving outdoor environment, the rugged Milennia PRV19’s faceplate is watertight and UV-stable. Large buttons ensure easy operation. The receiver has a cut-out of 3-1/8″ and an outer dimension of 4-1/8″. Prospec’s Milennia PRV19 Receiver retails for $149.95.